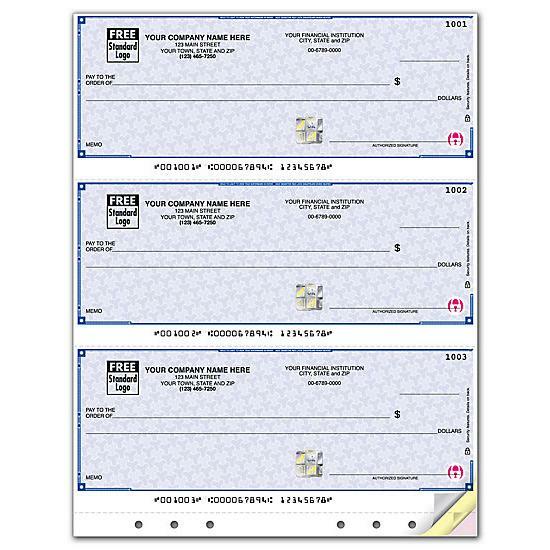 These laser checks are compatible with QuickBooks, Quicken, Quick Pay and Microsoft Money. Economical 3-to-a-page check saves paper, toner & storage space. 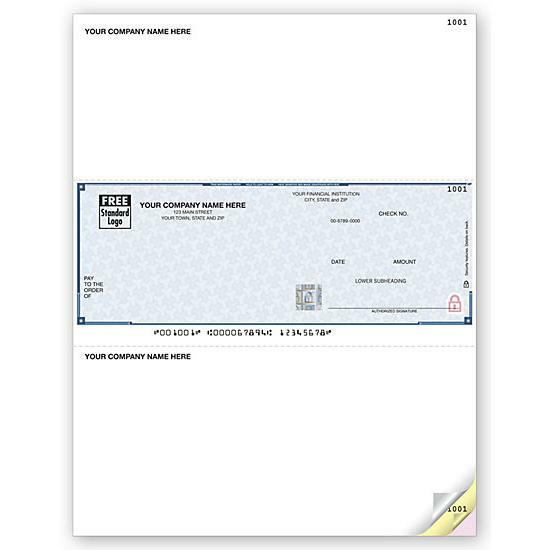 Plus they're lined and pre-punched so you can write checks and use with a binder!